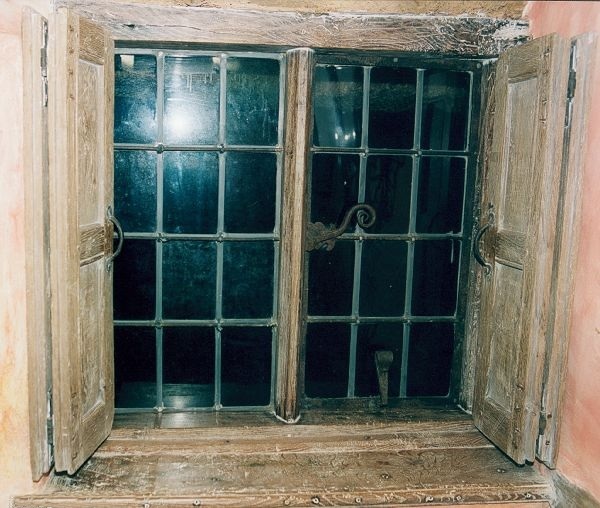 Interior view of the downstairs W.C. window showing the open bi-fold oak panelled shutters and simple ironwork. The oak was specially treated and limewashed to match the existing beams. Under certain circumstances, this work can now be VAT zero rated.